LOS ANGELES, Calif. (SEND2PRESS NEWSWIRE) -- Featuring in-person appearances of more than five dozen celebrities from classic motion pictures and television, The Hollywood Show has emerged as one of the world's most celebrated autograph and photo-opportunities for fans, and the upcoming event will feature country singer, and Shady Hill Records recording artist, Sandra Piller on Friday, Saturday and Sunday, April 19, 20, and 21, 2013. 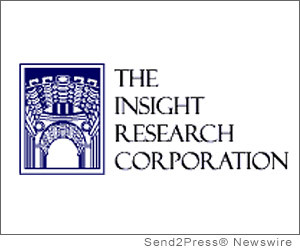 US Telecommunications Private Line Services Revenue to Plateau at $35 Billion in 2013, says Insight Research Corp.
BOONTON, N.J. (SEND2PRESS NEWSWIRE) -- The $35 billion U.S. private line services market is expected to decline one percent annually over the next five years, as the shift to packet-based services offsets demand for higher bandwidth private lines, says a market analysis study from Insight Research. MAPLE GLEN, Pa. (SEND2PRESS NEWSWIRE) -- iConcepts, Inc., makers of leading Offer in Compromise Software for tax professionals, announced today an update to OIC Tax Planner for 2012. It incorporates Form 656 released May 2012 along with updated forms 433A and 433B, and all the latest forms needed by tax pros to address issues presented in the collection process of the IRS. 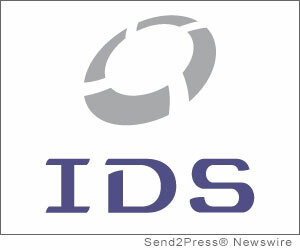 SALT LAKE CITY, Utah (SEND2PRESS NEWSWIRE) -- International Document Services (IDS), a mortgage document preparation vendor, saw an unprecedented period of record month-over-month volume in 2012. In addition, the firm also experienced increased demand for its initial disclosure services. LOS ANGELES, Calif. (SEND2PRESS NEWSWIRE) -- Whatever holiday pops up on your calendar, two things are always true: kids are happy about it and the late Ruth Roberts wrote kids' music to help you celebrate it. 'Children's music was the special province of Ruth Roberts,' says Susan Nicoletti, Director of Operations for Goldenrod Music. 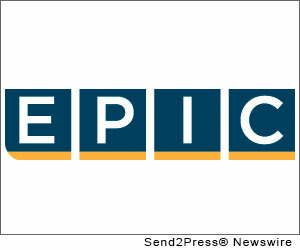 SAN FRANCISCO, Calif. (SEND2PRESS NEWSWIRE) -- EPIC (Edgewood Partners Insurance Center) announced today that its Employee Benefits Practice has launched a strategic partnership offering employers a new way to manage benefit program costs while expanding flexibility, choice and value for their employees. NEW YORK CITY, N.Y. (SEND2PRESS NEWSWIRE) -- EaseUS Software, a leader software developer in data recovery, storage management and data backup, today announces the release of version 5.8 of EaseUS Todo Backup series. By enhancing compatibility with other software, and adding some new advanced functions for business users like GPT boot supporting 32 bit Windows PE, and exploring backup images of email in Windows Explorer, EaseUS Software aims to ensure the safest and most up-to-date backup solution for Windows PC and Server users. ASPEN, Colo. (SEND2PRESS NEWSWIRE) -- Cameron/Baxter Books announces the worldwide launch of the paradigm-shifting book 'THE TRUST FREQUENCY: 10 Assumptions for a New Paradigm' (ISBN: 978-0-988747-1-3) at Explore Booksellers in Aspen, Colorado, March 29 at 5:30 p.m. Sally A. Ranney, visionary environmental leader and author of the foreword to the book, will speak on the need for fundamental, whole-systems change to enable global-level collaboration for solving climate change. CLEVELAND, Ohio (SEND2PRESS NEWSWIRE) -- At Lakewood College we understand the importance of our students not only completing their program but then getting out into the real world and putting all their hard work into action. We want to bring to them the people that know how to help them get the career they want. SAN DIEGO, Calif. (SEND2PRESS NEWSWIRE) -- 10-year-old dance prodigy, internet sensation and featured performer on the hit TV series on Lifetime, 'Dance Moms,' Sophia Lucia, will attempt to break the Guinness World Record of '36 Consecutive Pirouettes' on March 30, 2013 in her home town of San Diego, Calif. The event will take place at San Diego Dance Centre, where Sophia started dancing at the young age of 2 years. IRVINE, Calif. (SEND2PRESS NEWSWIRE) -- The Maple Youth Ballet honored Donalyn Kling, one of its most dedicated patrons at the second annual Diamonds and Dance Gala on Saturday, March 9 at Black, Starr and Frost in Newport Beach. FRESNO, Calif. (SEND2PRESS NEWSWIRE) -- First opening the doors of a Fresno office in July of 2012, California's fastest growing insurance brokerage is already expanding to meet local demand. EPIC (Edgewood Partners Insurance Center), a retail property, casualty and employee benefits insurance brokerage that started with just two principals, has since added four more brokers specializing in property and casualty and employee benefits, as well as claims advocacy, account management and client service positions. COSTA MESA, Calif. (SEND2PRESS NEWSWIRE) -- LendingQB, a provider of end-to-end loan origination software, announced that it will be holding a free webinar on why lenders struggle to successfully implement new loan origination technology systems (LOS). The webinar will be held on March 27, 2013, at 1 p.m. Eastern Time. FAIRFAX, Va. (SEND2PRESS NEWSWIRE) -- Preparations are underway for the third annual Run for the Children, hosted by Fairfax Court Appointed Special Advocates (CASA). Made possible through a generous partnership grant from the Verizon Foundation and other local corporations, the run takes place on May 4 in historic Fairfax City. CULVER CITY, Calif. (SEND2PRESS NEWSWIRE) -- DAX, LLC (formerly Sample Digital), the leading provider of cloud workflow and media asset management applications and services to companies that produce, distribute and license audio-visual content, is launching the latest version of its platform at NAB 2013 in Las Vegas, April 8. SAN BERNARDINO, Calif. (SEND2PRESS NEWSWIRE) -- Audrey Mathews, County of San Bernardino Workforce Investment Board Member, has received the American Society for Public Administration (ASPA)'s Elmer B. Staats Lifetime Achievement Award for Distinguished Public Service. The award ceremony was held on Tuesday, March 19, at the Hilton New Orleans Hotel in New Orleans, La., during ASPA's Annual Conference. 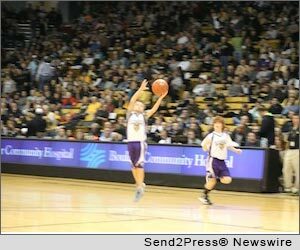 BOULDER, Colo. (SEND2PRESS NEWSWIRE) -- TeamSnap, a fast growing online sports management service and mobile app, announced a list of local organizations using its Club and League Solution that now includes the Boulder Panthers Basketball Club of Boulder, Colo. TeamSnap climbed into iTunes' top 40 free sports apps list this month while the club continues to use it as a tool to help grow the sport of basketball. BRECKENRIDGE, Colo. (SEND2PRESS NEWSWIRE) -- HVS Capital Corp has been exclusively appointed to sell the Lodge and Spa at Breckenridge in Colorado, a 45-room Lodge that has been lauded by Conde Nast, Expedia and Fodor's. 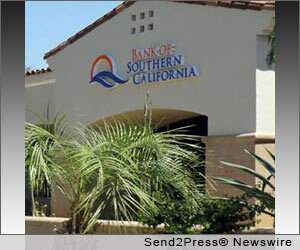 SAN DIEGO, Calif. (SEND2PRESS NEWSWIRE) -- After more than two years of leasing their La Quinta office, Bank of Southern California announced that they have acquired the space permanently from the FDIC. At the end of 2010, Bank of Southern California began leasing the space, as well as another location in Palm Springs, when it acquired the two branch offices from Palm Desert National Bank. ARDEN, N.C. (SEND2PRESS NEWSWIRE) -- Ten years ago, dynamic female entrepreneur Lana Wilde of Mountain Home Care started her business in the basement of the family home with one client, one caregiver, and a commitment to meet the needs of families who take care of their loved ones in times of extended illness.